PORTLAND, Ore. (MuseWire) – Audinate is pleased to announce that Innovative Electronic Designs, LLC has licensed Audinate’s Dante digital-media networking technology and will incorporate Dante into several exciting new products. Audinate’s patented Dante solution is a media networking solution suite designed to transport many channels of high-resolution, uncompressed, low-latency digital media over relatively long distances and to multiple locations, using a standard 100 Mbps or 1 Gb Ethernet network. It has become the solution of choice for a variety of professional applications because it delivers tightly synchronized, sample-accurate playback while simplifying installation and configuration of AV networks. IED is in the business of connecting people. Its communication systems are used worldwide to bring people together, keep them safe, and make their lives easier. Whether they are connecting flights in the world’s busiest airports, paging the parents of a lost child, quickly evacuating a building during an emergency, or countless other situations, IED stands by its systems as the most reliable and trusted systems in the market today. For more about IED, please visit www.iedaudio.com. Audinate revolutionizes the way that AV systems are connected, by transporting high-quality media over standard IT networks. Audinate’s patented Dante media networking technology has been adopted by over 70 OEM manufacturers in the professional audio/visual industry. Dante is used extensively for live performance events, commercial installation, broadcast, recording and production, and communications systems. Audinate is a Promoter Member of the AVnu Alliance™. Audinate offices are located in US, United Kingdom and Australia. 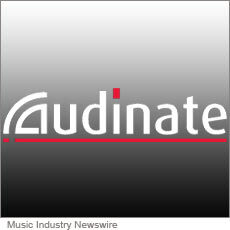 Visit http://www.audinate.com for the latest news and information on the company.